Fair Winds Press, 9781592336999, 176pp. 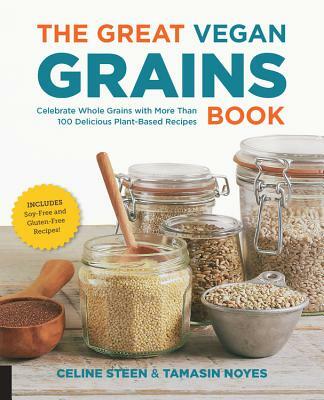 Enjoy over 100 whole-grain vegan recipes for every meal and occasion! Whole grains are a great source of protein and other nutrients that are typically found in meat and eggs, making them a valuable part of any plant-based diet. While naturally vegan by nature, grains are often paired with non-vegan ingredients, making many recipes off-limits to vegans. That's where The Great Vegan Grains Book comes the rescue, taking you step-by-step through the myriad grains available today, and providing you with more than 100 delicious and easy plant-based, whole-grain recipes (many of them low-fat, soy free, and even gluten-free!). Each recipe uses whole-food ingredients that can be easily found at most grocery stores, so you can say yes to grains and eating better too!